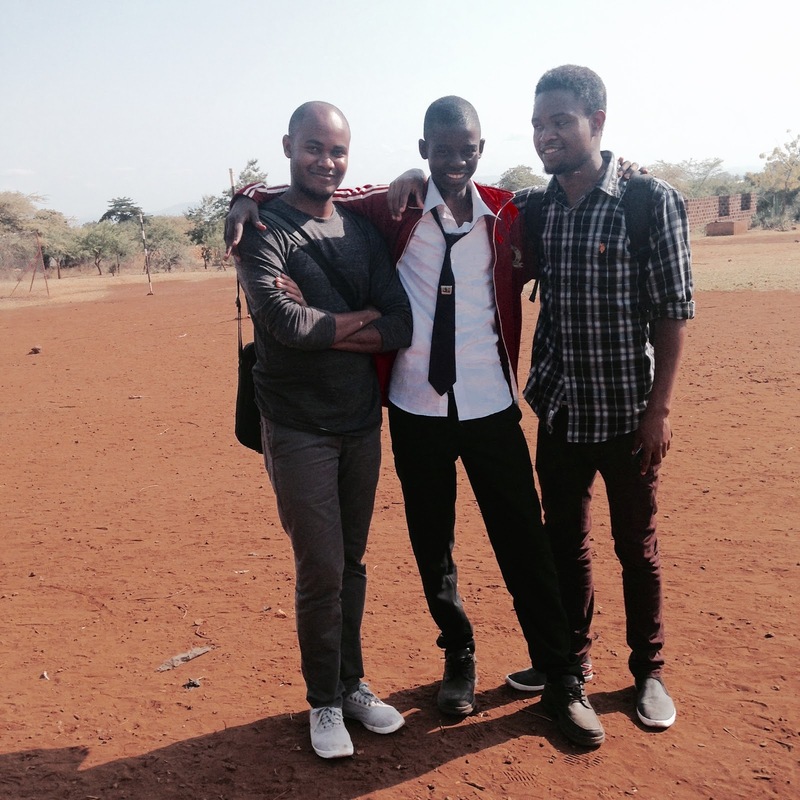 Revo is twenty-four years old and a student who has been helped by Make A Difference (MAD) Now. The proof of MAD’s success lies within the life of Revo. He grew up in the Uru-Shimbwe village in Tanzania. He was living with his father and step-mother until his father passed away from several health issues. Revo was sent to live with his mother when his father passed away. His mother struggled to take care of Revo so she sent him to his aunt and uncles home. It was at this time when two women, Irene and Lily, entered his village in search of children needing quality education and a chance at a better life. The village leader suggested the women visit Revo’s home, as he needed help. The women visited Revo and spoke with his family about his situation and eventually sent Revo with these them to get support. The women brought Revo to an orphanage.They told Revo they were traveling to Arusha, another town in Tanzania, to make money in order to send Revo to school. A few weeks later, the women returned and brought Revo to Royal Academy, a boarding school. When they later realized how challenging it was to pay for Revo’s school fees, food, clothing and medical needs they turned to MAD to take over supporting and caring for Revo. At Royal Academy Revo excelled in his studies and was president of the student body, as a primary school student. At the time Royal didn’t have a secondary school so when Revo graduating from primary school MAD researched the best schools in the Kilimanjaro areas and helped get him into Tengeru Secondary School. At Tengeru he was one of the top students. For advanced level they were hoping to get him a scholarship at the International School of Moshi (ISM). However, when no scholarship came they found a way to pay for his schooling so that he could have access to the quality education and more opportunities to success. Adjusting to an international school where there was regular homework and assignments due online wasn’t easy, but Revo worked hard and eventually graduated from ISM. MAD wanted to make sure Revo was given every opportunity to success and go as far as he could due to his hard work. They set him up with a guidance counselor and together decided that Revo should apply to Duke University for early admissions. Duke gives full ride scholarships to scholars and they also have a strong presence in Moshi. In order to prepare Revo for his college application, MAD paid for numerous trips for Revo to go to Dar es Salaam (10 hours from Moshi) so that he could be tutored on the SAT, ACT as well as essay writing. Revo eventually applied to Duke and got an interview which he was nervous in having. Before starting the interview, Revo had to share with the interviewers that the power could go out during the interview. They said that was okay. He got accepted and has attended Duke University for one year now. 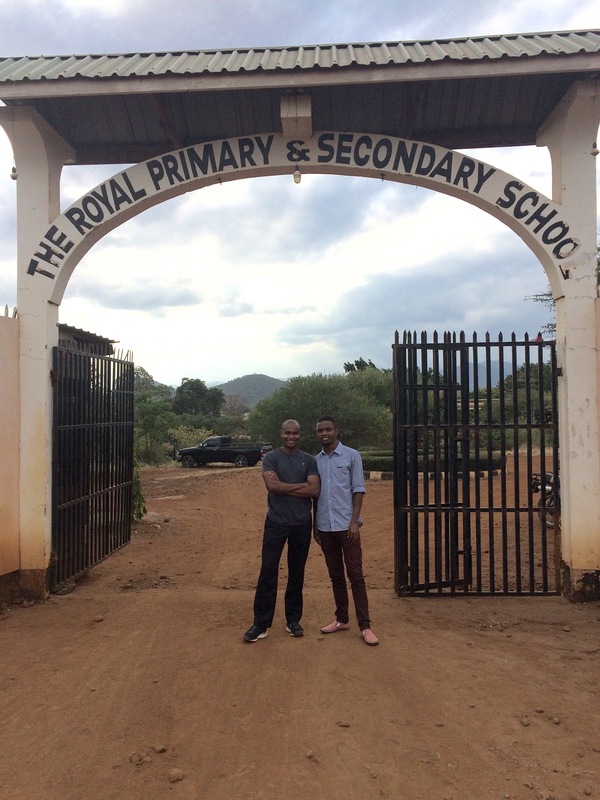 Revo is currently in Tanzania for summer break visiting family and friends and completing an internship with MAD. When Revo left Tanzania he thought he wanted to pursue computer science but now he has changed to statistics. At Duke he sings in an African A Capella group called Amamdla, which means “power”. He hopes to play in intramural soccer leagues next year. When I asked Revo about the difference between US education and TZ education, he said that TZ education is much more rigid in strict studies whereas the US education encourages more extracurriculars. He also noticed that teachers in the US expected students to participate in class discussion whereas in TZ students do not speak often. Revo is a true success story of what MAD does. He is now a great role model for younger students just like him. He shows that hard work does pay off. It’s not hard to believe the name “Revo” means “The Persistent One” in latin. Although Revo has been through a lot, his journey has only just begun. He looks to the future with bright eyes and a cheerful heart for all that is possible. Words and photos by travel writer Emilee Struss, @emileemaestruss. It has been a while since I updated my blog. So, this is going to be a very long entry. This is my last year of high school. The end of last year and the beginning of this year have been highlights in my life. Last year, a group of my friends and I made applications to universities. I applied to Duke University. Before applying, I had to take several tests (ACTs, TOEFLs and SAT subject tests) earlier that year. While my TOEFL and SAT scores were okay, my ACT score amazed me. I got 31 points! I honestly was not expecting this. It was actually this score that determined the university I applied to. My guidance counselor suggested applying to Duke and I liked the suggestion. So, having applied, I had to wait for the 10th of December when admission decisions would come out. When the day came, I waited and received the admission letter at 3 am. I could not believe what I was seeing, but I had been accepted! On the same night, two of my friends got into Harvard and Cornell! I remember the celebratory mood I found at school the next morning: the rest of the students were very happy for us. One of the photos I took with my classmates the morning after I got my admission letter. A few weeks later Duke sent me my admit pack. It had the admission letter, lots of stickers and this huge poster with lots of photos and a Duke Campus map. They mentioned in one of the letters that came with the pack that I had to provide some more information so they could continue processing my scholarship application. I provided more information and they wrote back shortly afterwards saying they decided to offer me full scholarship! I was just thrilled. Three weeks ago, I received an email from Duke saying that I was one the nine finalists for the MasterCard Foundation Scholarship, and I was surprised. It is my understanding that it is only five students that get this scholarship in one round. Duke arranged a Skype interview with me to finally decide if I could be one of these five students. I had the interview this Monday, the 21st. Two days ago, I received an email saying I am one of the MasterCard scholars! I was so happy and it makes me want to cry whenever I think about it. It is such a great opportunity. I will get to meet the rest of the scholars (all from Africa) and work with them, opportunities to study abroad during the summers and do internships in Africa, and so much more. It is just overwhelming. I am at the MAD guest house with Lyne and Pat (MAD volunteers and sponsors) at the moment. Yesterday morning, after having breakfast, Lyne and Pat had a surprise for me. They had brought with them a pair of Duke shorts and a Duke hoodie that they kept to give to me. They also brought me a Duke shirt that Nancy (another MAD volunteer who was here the whole of last year) bought me. This was so nice of them and I really appreciate it. School opens on the 11th of April and I graduate on the 21st of May. My final exams start on the 2nd of May and they will go on for three months. So, I have about five weeks to get ready and it is a lot of studying to do. Studying is all over my schedule . I do other things, but my focus is on my studies. I get to talk to Lyne and Pat during breakfasts, lunches and dinners. I also run for exercise (in the mornings or evenings) and read. I am planning to visit my mom in the village tomorrow as it is Easter Sunday. She will be so happy to see me and I will get to explain to her that I will go to college in the United States . In the time between June and August, I will be helping at the MAD office and getting ready for university. I will fly to the US with Mama Theresa a few days before August 21st: the move-in day. I can’t wait for this day. The freshest minds in this world today are we, the children. This is because we have young minds, which means we have a lot to share with the world, as well as a lot to learn. If we are handled carefully with positive learning, we will benefit the whole world, beginning with our societies. The energy we acquire and the dreams we create as we grow give us a burning desire to accomplish what we plan and to correct what should be corrected. Our minds, which aren’t yet filled with wars and corruption, are full of peace and harmony and determination, will do just that- create a future we want. A future that will condemn no one. This is, only if we will be trained in the suitable way. For a long time we have awaited for peace and fairness, especially in African countries. We, the children, are still standing a very good chance to make these things a reality. I, personally, hate wars and corruption. I dream of the day when both of these will be history, and I believe they will, since they are not natural calamities. Along with my studies, I am struggling to learn the right and wrongs that our leaders have practiced and are practicing. Wrongs, that I will avoid, rights that I will praise and maintain. Leaders are the core of our suffering- fall of peace and corruption. I am studying to become an engineer, and from that that will be born other careers that will enable me and all those other people of good will to bring peace, fairness, and sustainable development for our cities, and the world at large. Engineering will give me the ability to see how my city and country should appear in structure, and ensure that this structure is conducive to the environment for sustainable development- proper economic links facilitated by strong infrastructure and industries. Along with my endeavors of being an engineer, I love to write, like this essay. Writing gives me a chance to express my ideas and it is a tool to mold the world socially, morally, spiritually, and culturally. It will indisputably spur people’s enthusiasm to learn from mistakes and cope with the changing world. We will have a good future if parents, guardians, nations, and the world invest in children. Teach them the proper ways of maintaining and using their time and resources, and creating a sense of peace and harmony in them. After this, the children can make a difference, or rather, differences. Differences, which I believe, will impact today’s world. Teach us, we will make a difference from which you will learn.